We spend a lot of time in the kitchen preparing, cooking and eating so it’s important to make sure the décor is warm and inviting. This means that choosing the right blinds is just as important as the pictures you display and the colour you paint the walls. 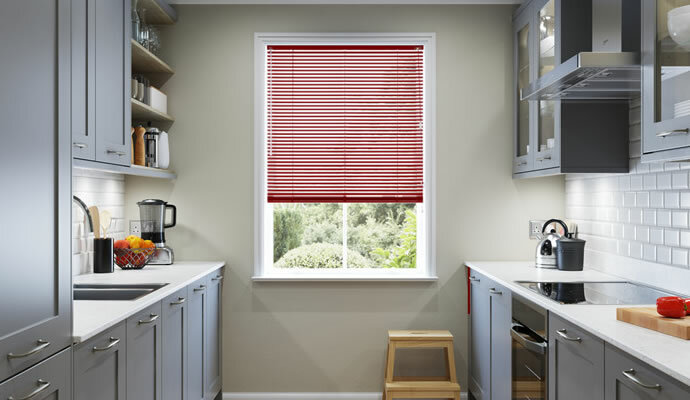 But your blinds will serve a practical purpose as well as simply look great. If you have a kitchen diner, for example, and regularly entertain friends on an evening, you can ensure privacy for your party. 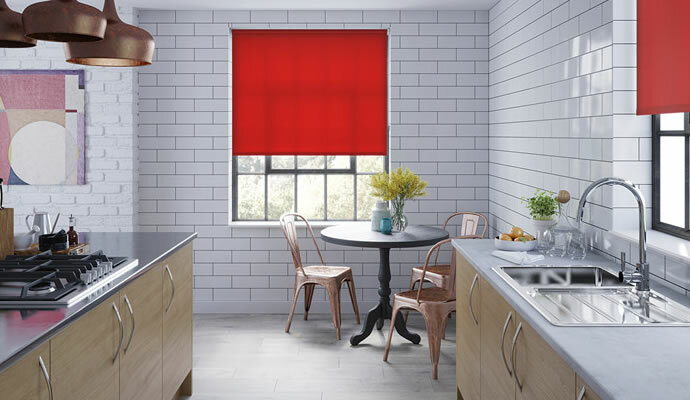 Kitchen roller blinds are the perfect addition to the busiest room in the house. Easy to open and close, and because they’re so thin, they allow space for things like pots of pick-your-own herbs or storage jars that can be close at hand on the windowsill. 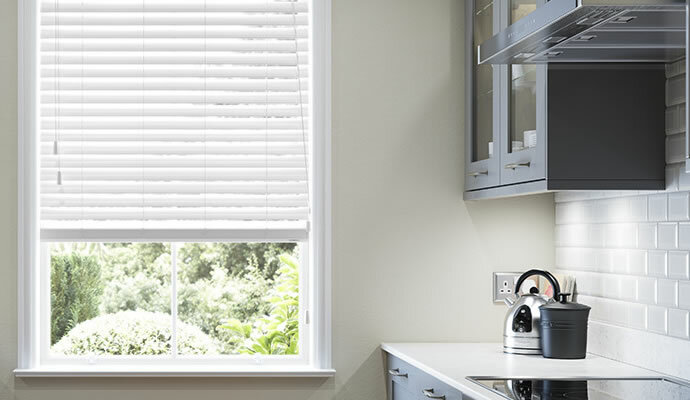 Venetian blinds are a really practical choice because not only do they give you control over precisely the amount of light that gets in, they’re also easy to clean without ever having to take them down to do so. 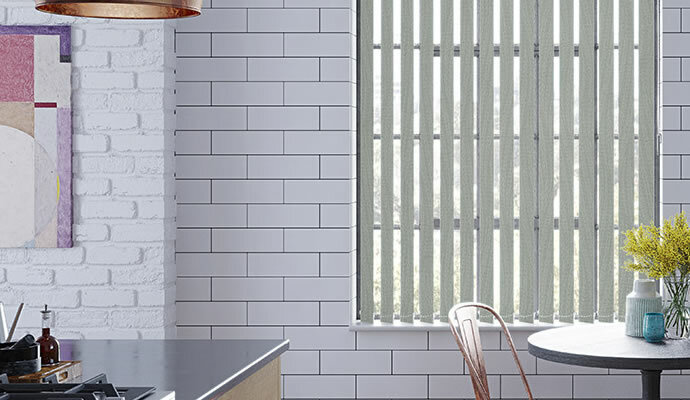 Vertical kitchen blinds work particularly well when the window is open – they give you the privacy you need at the same time as allowing a steady stream of fresh air to pass through. If you want blinds that give the appearance of wood but are worried that they might warp or crack in the steamy atmosphere of the kitchen, don’t be. Our extensive range includes many with the beautiful look of wood but all of the practicality of PVC.